Thank you to Albertsons Safeway for sponsoring this post! Alright everybody, the new Peanuts movie is coming out November 6th and I’ve made something to celebrate. Mostly I’m looking forward to taking our kids to see it, but the truth is, I’m a long-time Peanuts fan. Charlie Brown and his buddies take me waaaay back. The old Peanuts movies and comic strips are really nostalgic to me. Woven throughout my childhood, I remember many a time eating popcorn on the couch with my brother while we watched “Race for Your Life, Charlie Brown,” “Bon Voyage, Charlie Brown,” and other Peanuts favorites for the zillionth time. Remember that one? 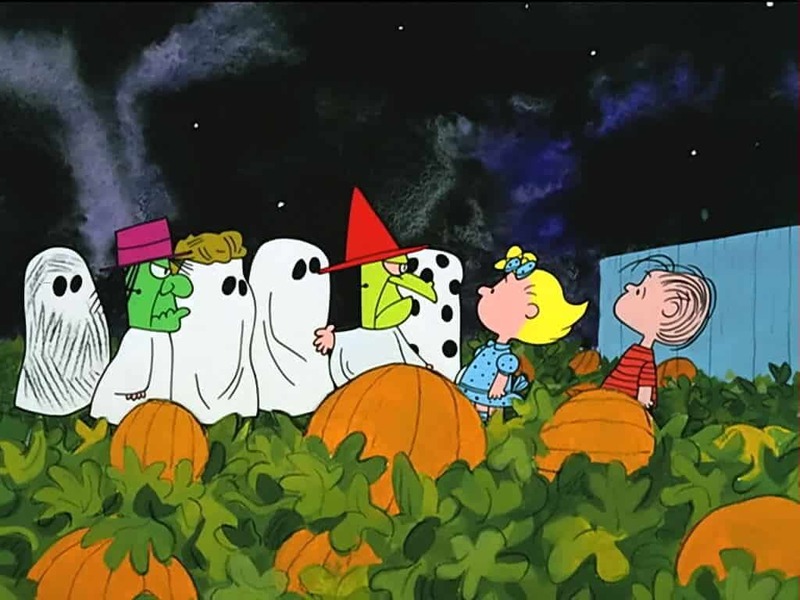 The kids are out trick-or-treating while Linus forgoes the fun to stay in the pumpkin patch to wait for The Great Pumpkin. He had already written and mailed off a letter to The Great Pumpkin who he was convinced would rise up out of the pumpkin patch that night to give lots of candy to all the good little boys and girls. So why bother trick-or-treating? His friends of course think he’s nuts and bawl him out for his crazy behavior and expectations. But he convinces Sally to stay and wait with him. 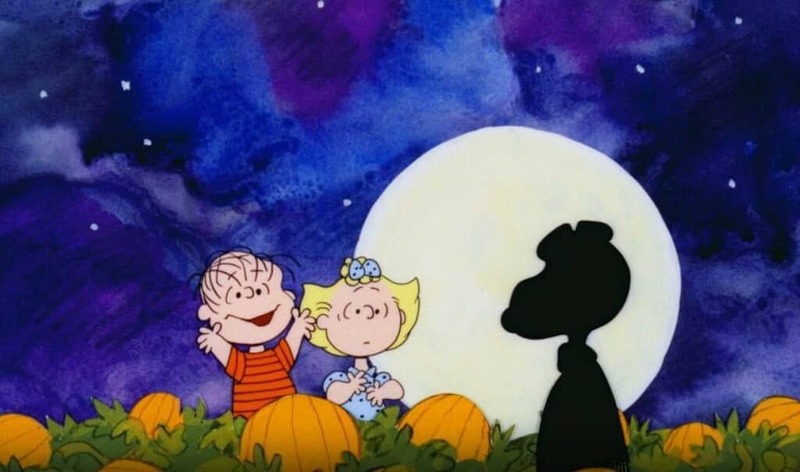 The wait is finally over and Linus’ wildest hopes and dreams are fulfilled as a shadow rises up out of the pumpkin patch. We of course recognize the shadow as Snoopy but that doesn’t change the reality for Linus who in total excitement and borderline delirium faints in shock. 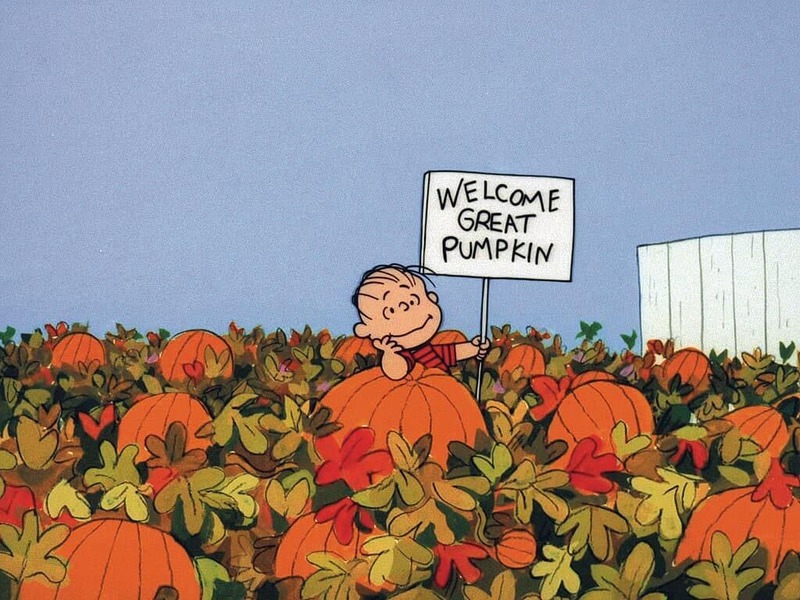 Welcome, Great Pumpkin! Well, it’s almost Halloween night and I’ve made some goodies to see Linus and Sally through their long, cold night of waiting for The Great Pumpkin. Alright Linus and Sally, stay safe, stay warm, enjoy your muffins, and good luck! And for all you Peanuts fans out there – to add to the Peanuts fun, the new movie’s official grocery partner, Albertsons Safeway, is providing some super cute reusable Peanuts-branded shopping and trick or treat bags with the purchase of participating items, so go and grab one while they last! 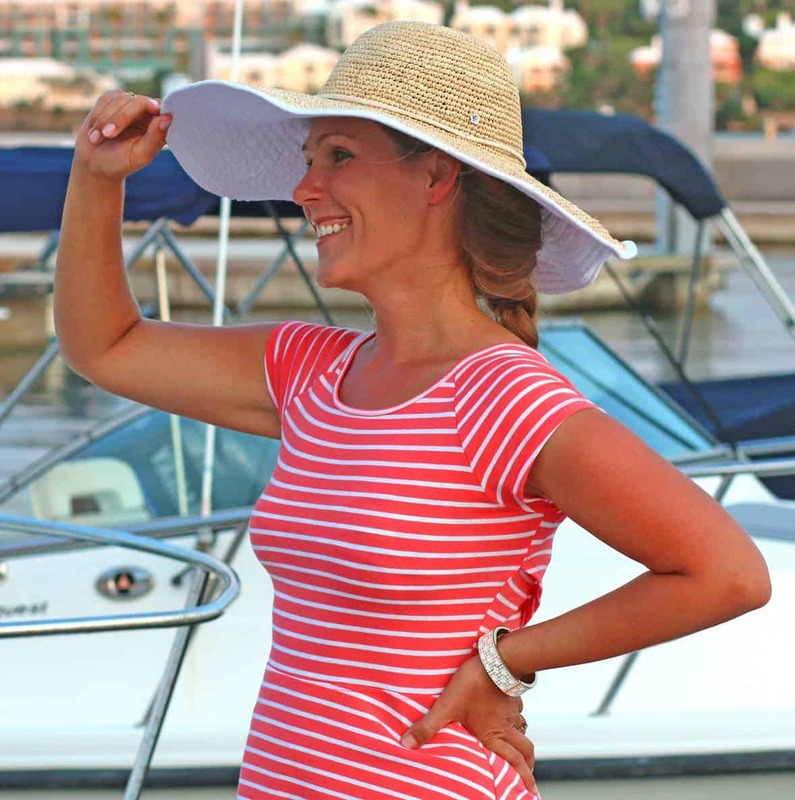 You can also enter their sweepstakes to win a trip or some game gear. 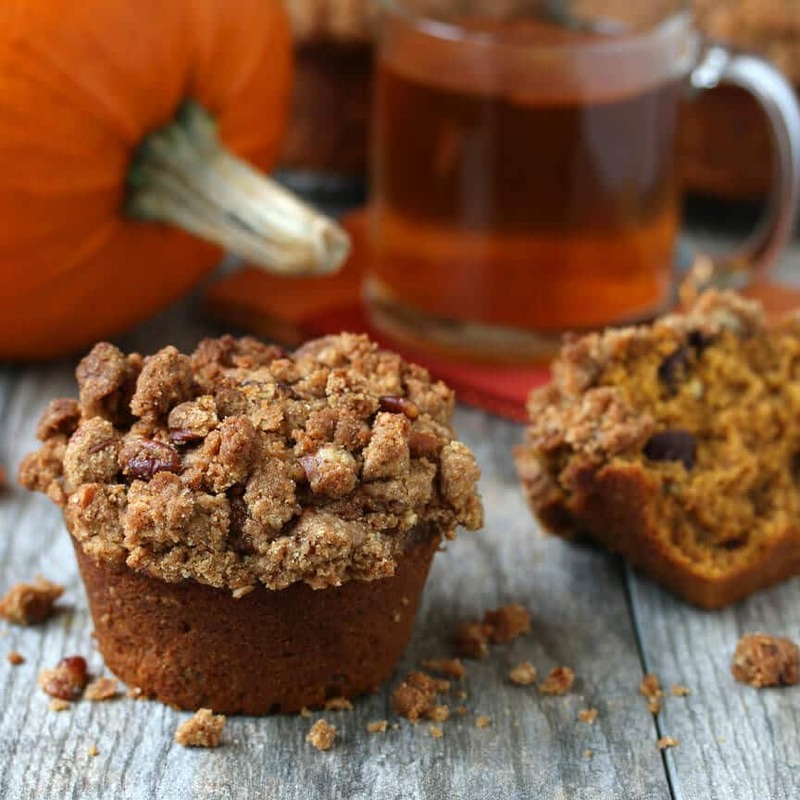 Today’s “The Great Pumpkin” Chocolate Pecan Crumb Muffins are simply delicious and have a fabulous texture, especially a few minutes out of the oven! 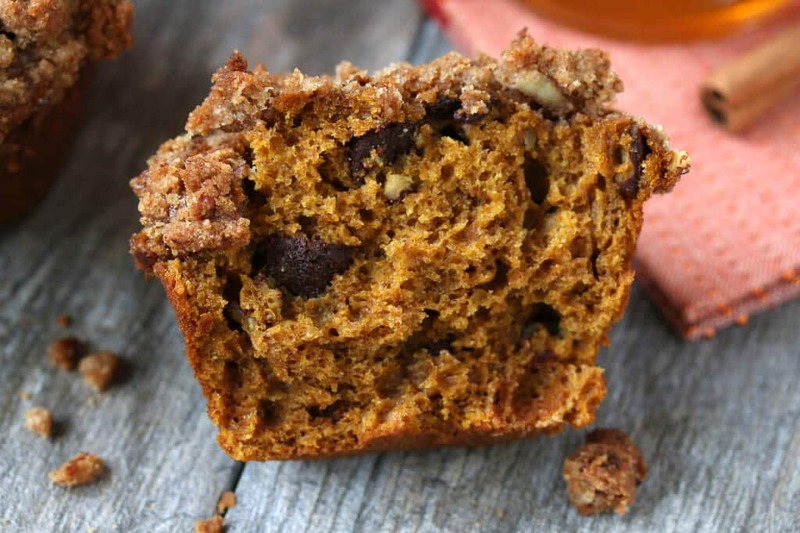 With all that pumpkin and 100% whole grain flour you don’t have to feel quite as guilty to indulge. And that alone is reason to celebrate! 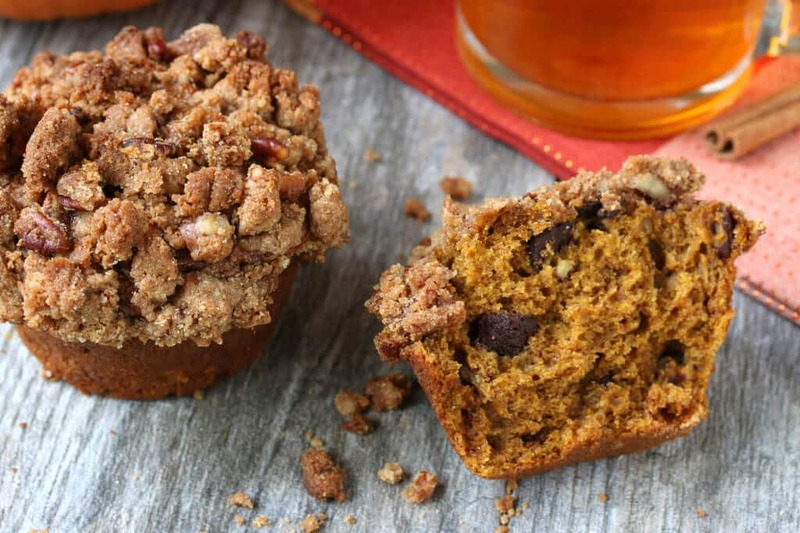 Whether as a healthier treat, before bedtime snack with a glass of milk, or an on-the-go breakfast – delicious and nutritious, you’re going to love these muffins! Now let’s get to work – the Great Pumpkin will be arriving soon! 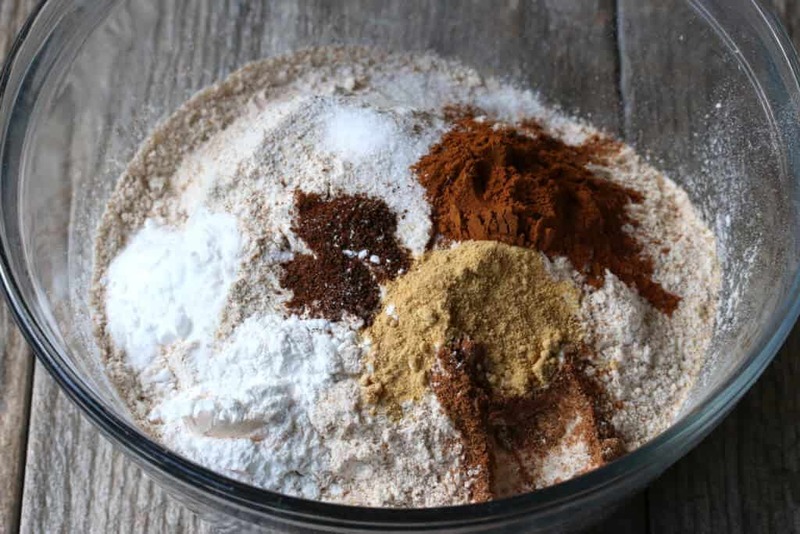 In a small mixing bowl combine the flour with the salt, cinnamon, nutmeg, cloves, ginger, baking soda and baking powder and set aside. 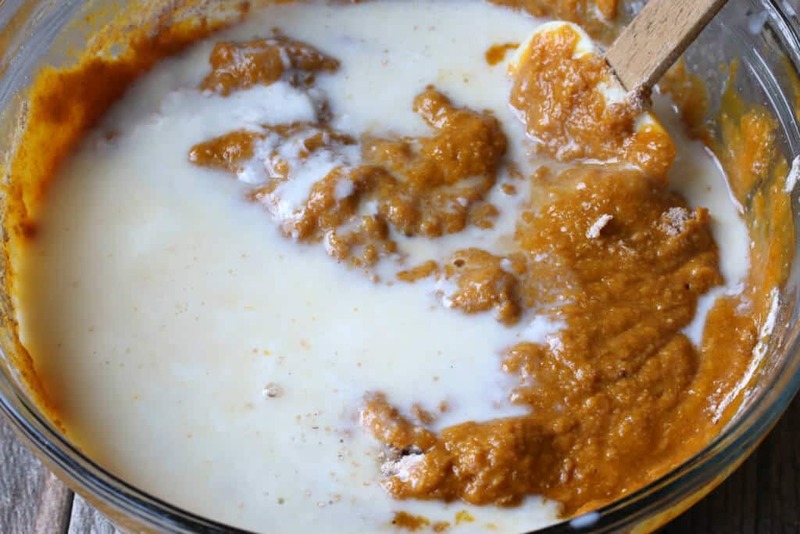 In a large mixing bowl beat together the brown sugar, eggs, oil, and vanilla extract until combined. Use a rubber spatula to stir in half of the buttermilk. Then fold in half of the flour mixture. Repeat: Fold in the other half of the buttermilk followed by the remaining half of the flour mixture. 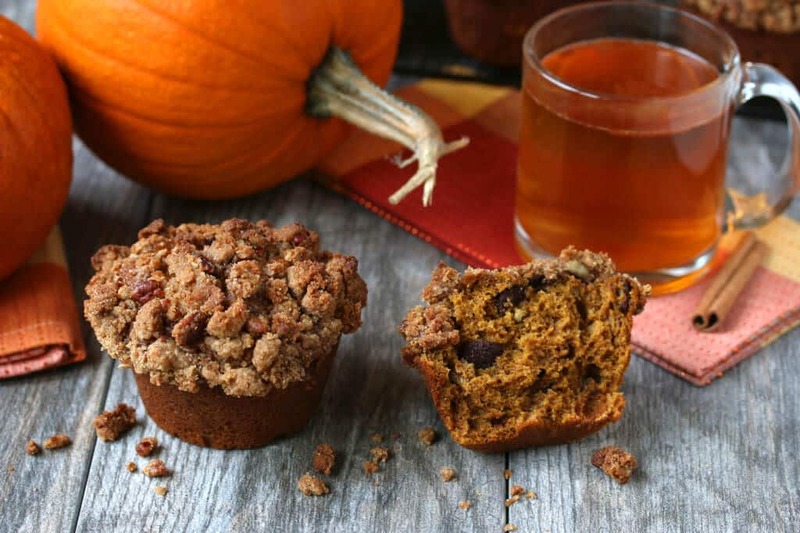 Don’t over-stir or the muffins will be dense and heavy. Just fold it in until everything is incorporated. It’s okay if a few small lumps remain. Spoon the batter into the greased muffin pan, about 3/4 full. 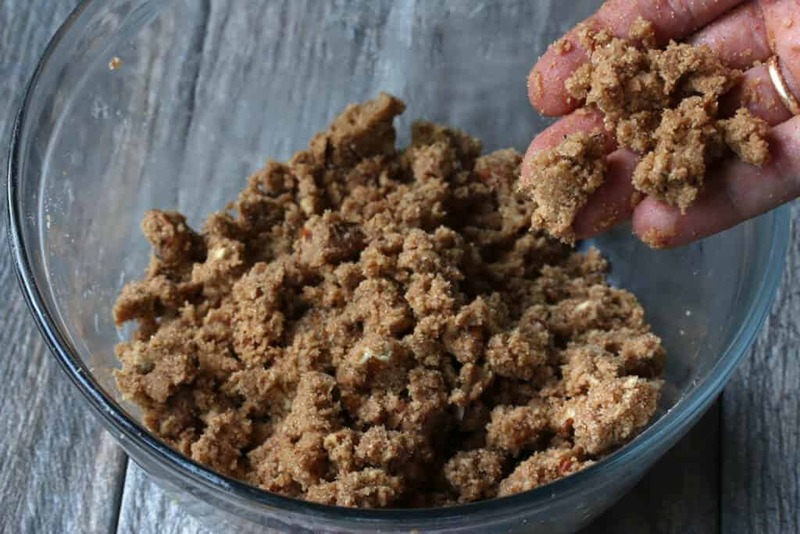 To make the crumb topping, put all the ingredients in a small mixing bowl. 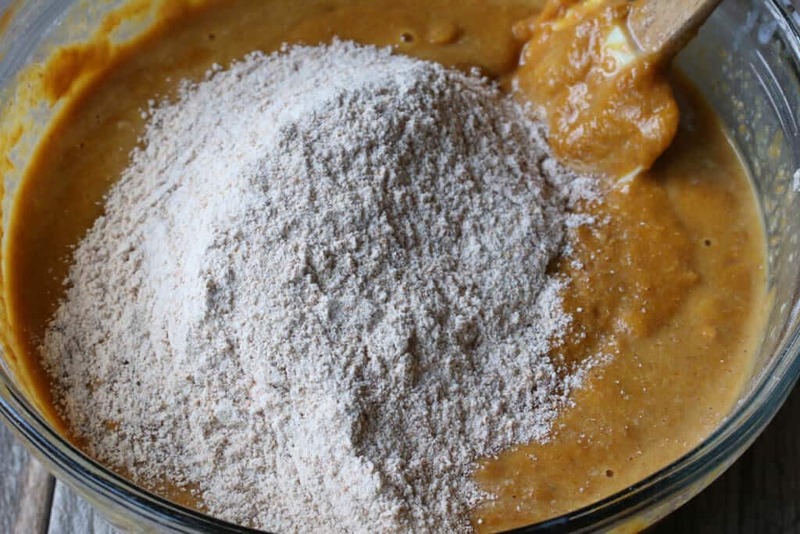 Use your hand to thoroughly combine the mixture, then crumbling it into clumps. 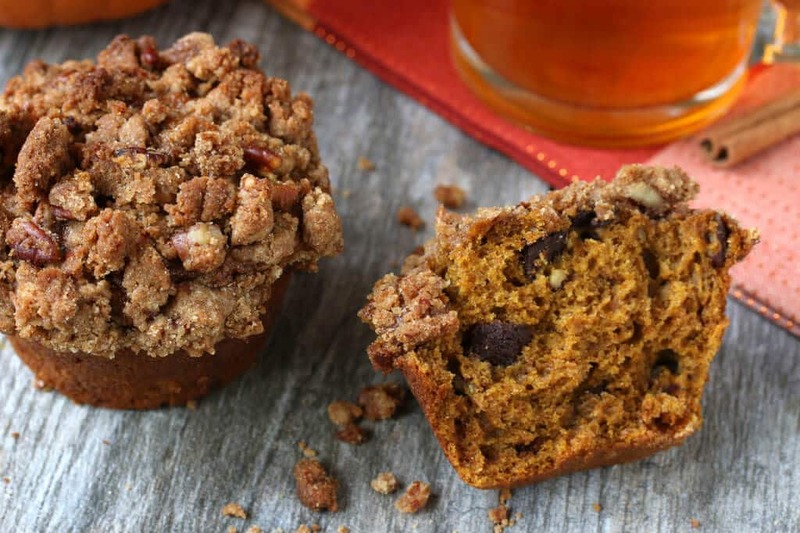 Bake in an oven preheated to 375 for 30-35 minutes for jumbo-sized muffins. 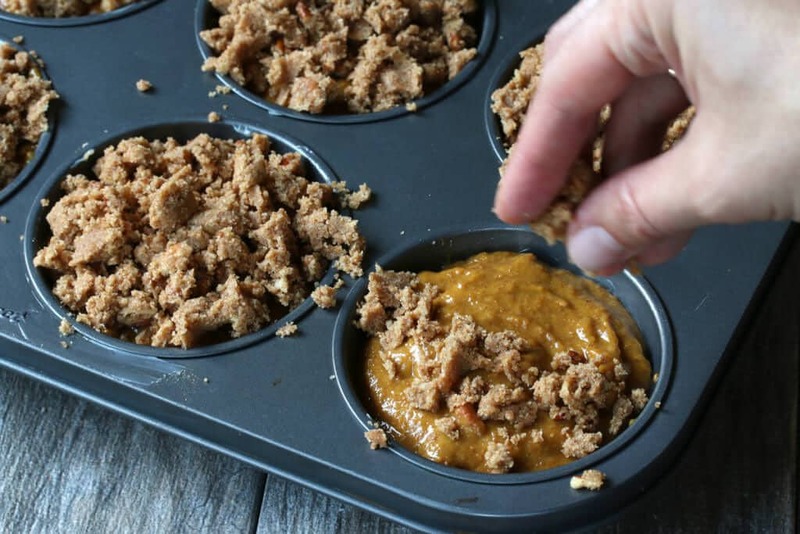 Let the muffins cool for a few minutes before removing them from the muffin pan. Preheat the oven to 375 degrees F. Grease a jumbo muffin tin. 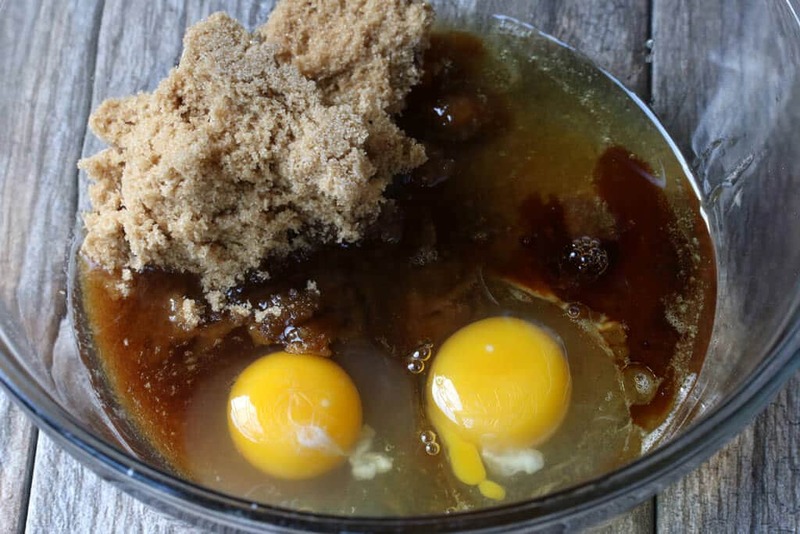 In a large mixing bowl beat together the brown sugar, eggs, oil, and vanilla extract until combined. 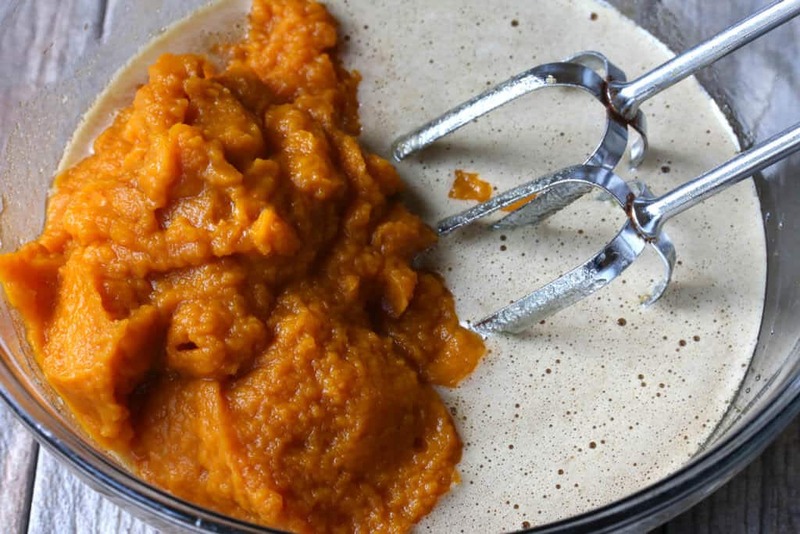 Stir in the pumpkin puree. Use a rubber spatula to stir in half of the buttermilk. Then fold in half of the flour mixture. Repeat: Fold in the other half of the buttermilk followed by the remaining half of the flour mixture. 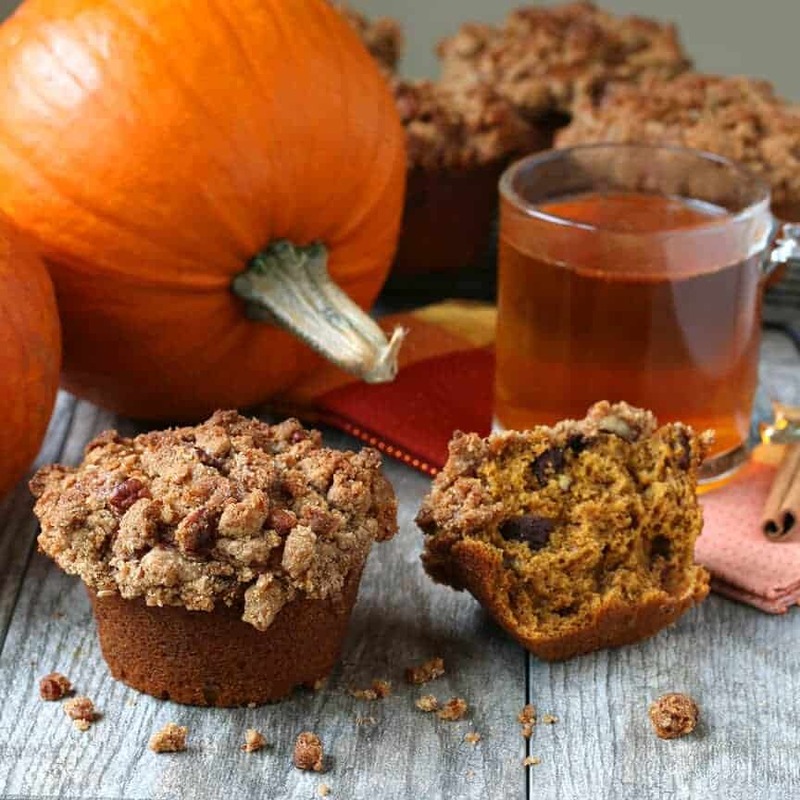 Don't over-stir or the muffins will be dense and heavy. Just fold it in until everything is incorporated (it's okay if a few small lumps remain). 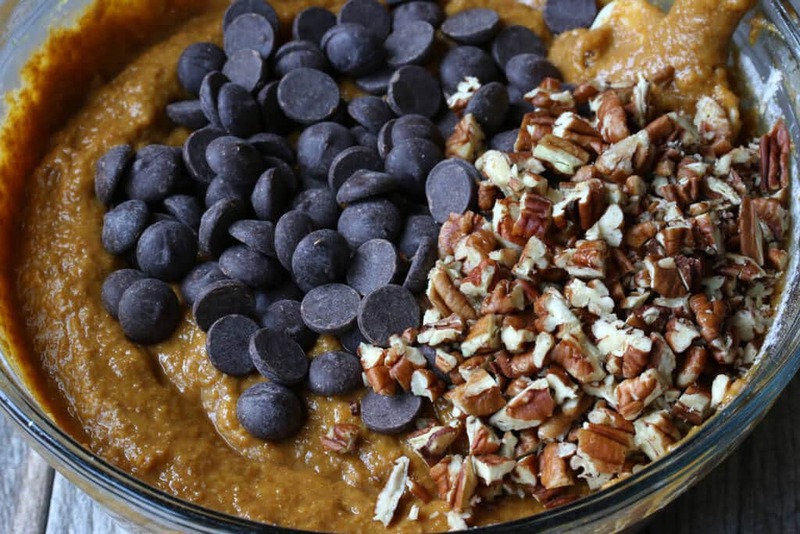 Stir in the chocolate chips and pecans. 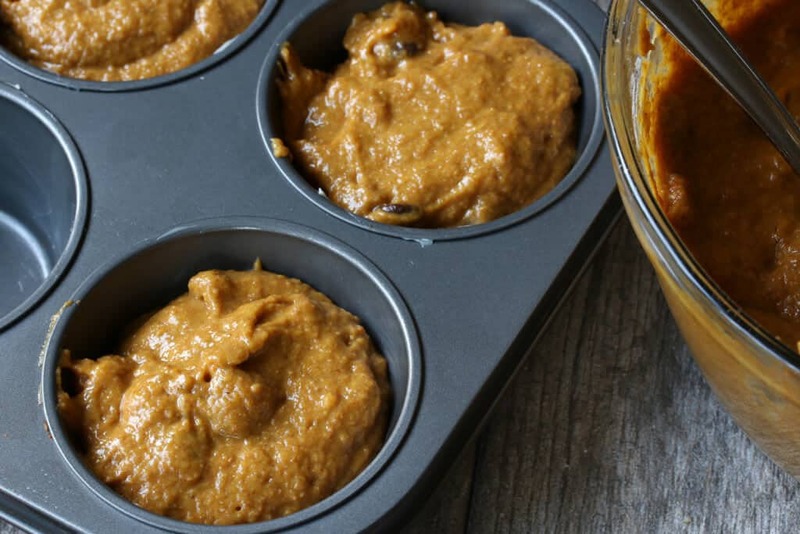 Spoon the batter into the greased muffin pan, about ¾ full. 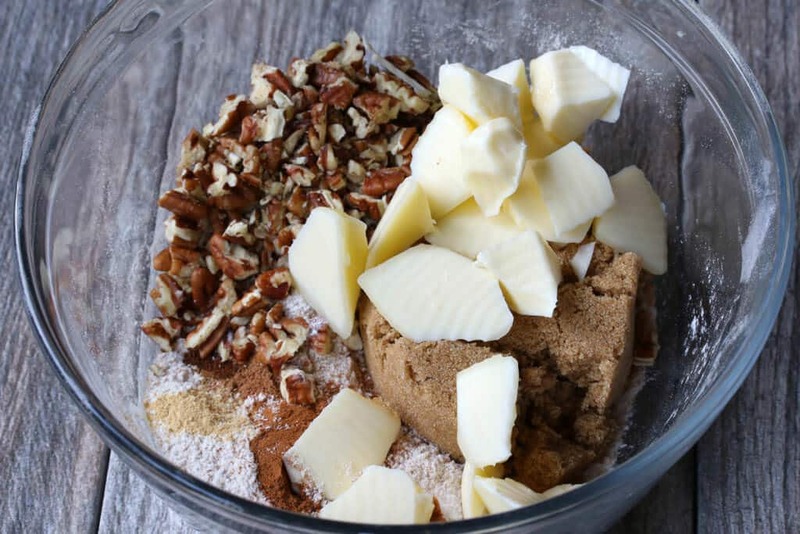 To make the crumb topping, put all the ingredients in a small mixing bowl. 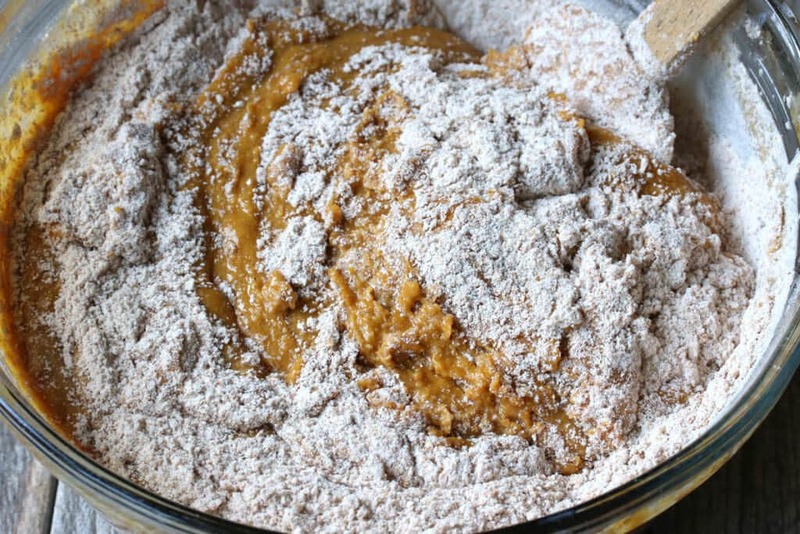 Use your hand to thoroughly combine the mixture, then crumbling it into clumps. 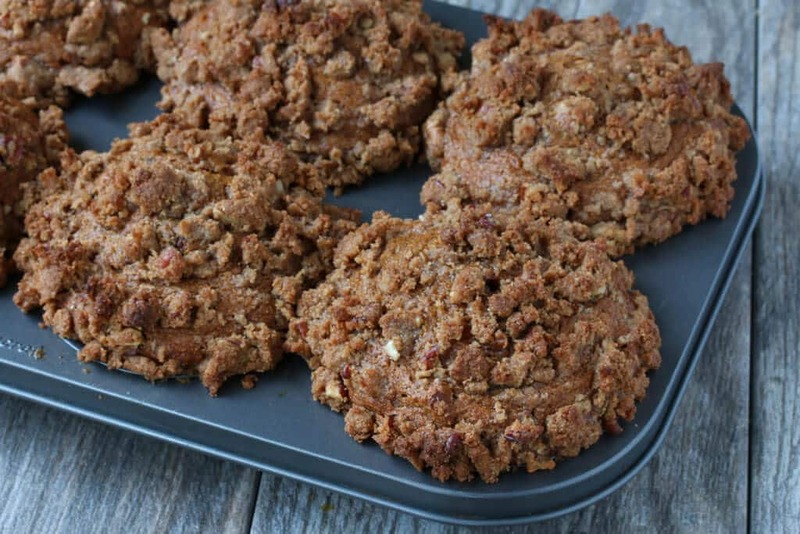 Sprinkle the crumb topping over the muffin batter.